When adding climbing elements to your playground, our HDPE Wave Traverse Wall is a brilliant free-standing option. 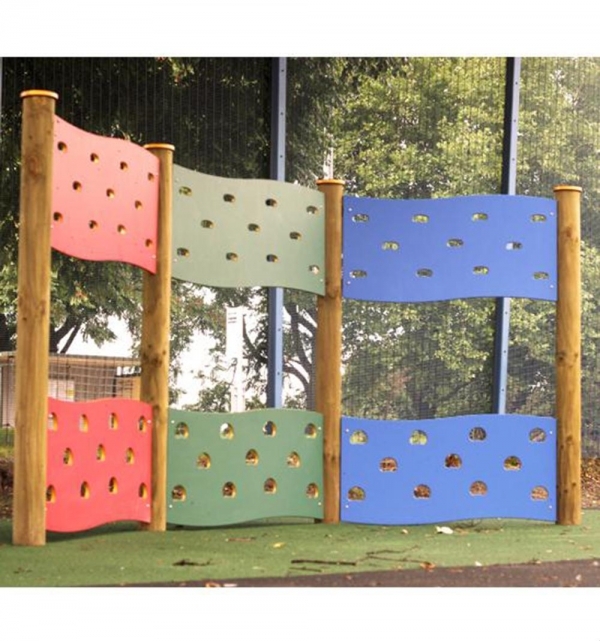 It can be used as a stand-alone piece or as part of your playground trim trail, and its double-sided nature ensures that it’s a fantastic addition for group play. The sizes and configurations are endless, though two and three-panel walls are the most popular options. The walls themselves are built from HDPE plastic to ensure durability and offer a variety of colour options to suit your needs.